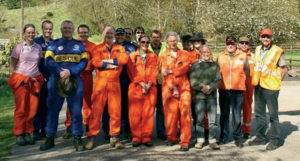 As you walk up the Hill today youwill note, dotted at regular intervals, orange and blue suited Marshals at the side of the track. These guys are all unpaid volunteers and stand outside in all weathers to ensure your motorsport enjoyment is not spoiled. Marshals carry out a vital job to ensure track safety and without them there would be no race meetings here at Doune or indeed anywhere else. 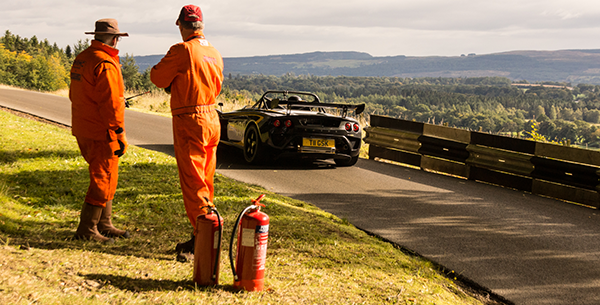 The Scottish Motorsports Marshal Club is the only Club in Scotland which is dedicated exclusively to motor sport marshalling in all its disciplines. 73 and its involvement with hillclimbs at Doune dates from then. SMMC has supplied for every Doune event their specialised Rescue Units and crews, to provide the vital services of driver extraction and medical intervention in the event of an incident on the track.